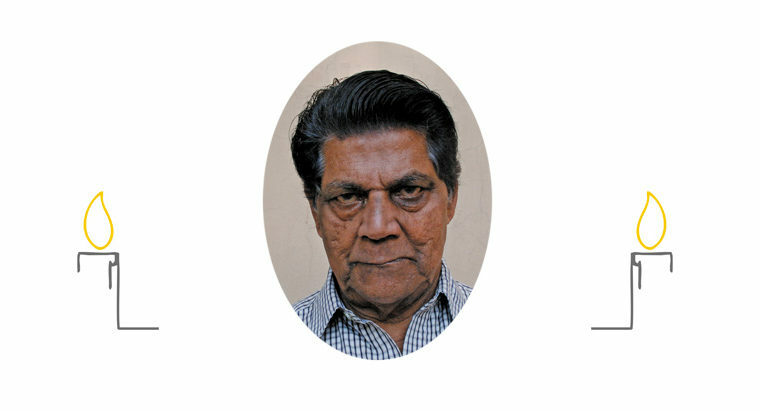 Thomas Karukaparambil was born in 1939 in Chingavanam, Kerala, the youngest child of three sisters and four brothers. His elder brother and three elder sisters became religious. In 1963 Tom joined the Patna Province of the Society of Jesus. After completing his Juniorate he obtained a certificate in Accountancy from Mumbai. He enthusiastically worked as a regent in Ara and XTTI, Patna, from 1967 to 1973. After Tertianship in Hazaribagh, Tom pronounced his final vows in 1976. He was in charge of farms in K.R., Bettiah and Chuharhi. He worked as an able administrator in most of the big houses in the Province – XTTI, St. Xavier’s (Patna and Jaipur) – and in Vidyajyoti. He retired to XTTI in 2017. Br. Tom was a fine human being and a devoted religious. He was simple, humble, approachable, jovial and committed to his mission. He worked silently and was calm even when faced with hard times. He was not one to give up in the face of problems. He did everything with devotion and a motherly touch. He loved everybody and was loved by all. He cared for the poor and treated the workers with compassion. He was popular with scholastics because he was very supportive of youngsters and was ready to listen to them. He was abreast with what was happening in the Society, especially in the Province. When talking and walking became difficult due to a stroke, he did not complain though he suffered much. Br. Tom died as he had lived – without any complaint, ever grateful to others for the little services they rendered him. He passed away on 8th March at Kurji Holy Family Hospital in Patna where he had gone for medical check up following a bout of vomiting.